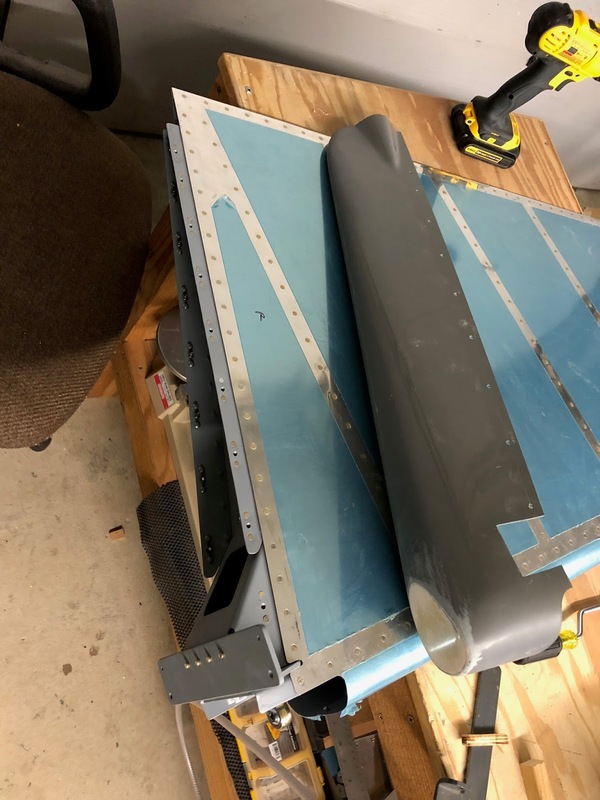 I worked on attaching the rudder tip fairings. The drilling and riveting went fairly easily on the top tip fairing. I had sanded the edges of the bottom tip to a very good fit a couple days ago. 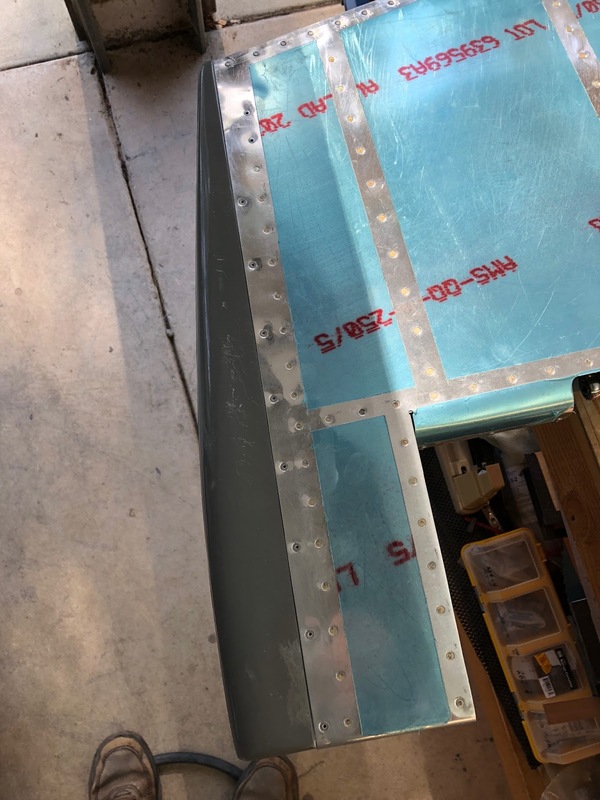 However, when the tip was pushed onto the end of the rudder, there were large gaps because the fiberglass was too wide. 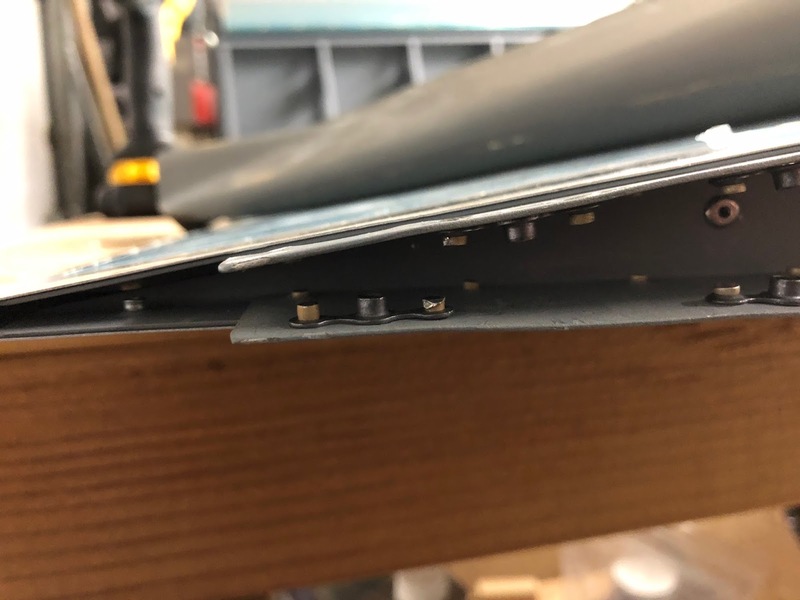 I taped the edges using masking tape to pull everything into place before drilling any holes. After drilling holes and applying clecos the fit looks good. The K1000-06 nut plates that were provided with my kit were not -06, they were too large. Luckily I had some extras I had ordered from Aircraft Spruce. I'm also missing some of the #6 screws needed for fastening. The plans call out offsetting the rear nut plate on one side, but they do not specify a dimension for the offset. 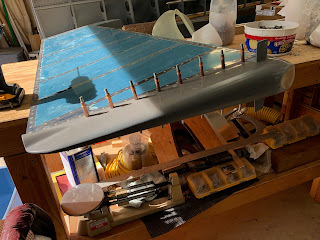 I wish I had offset a little more- the riveting was a little difficult for the 2 opposing rivets seen below.